Check out these top spots around the world, from New Zealand to London, to Ireland, to Berlin, and more! – That are offering up holiday cocktails to keep you TIPSY on your travels! 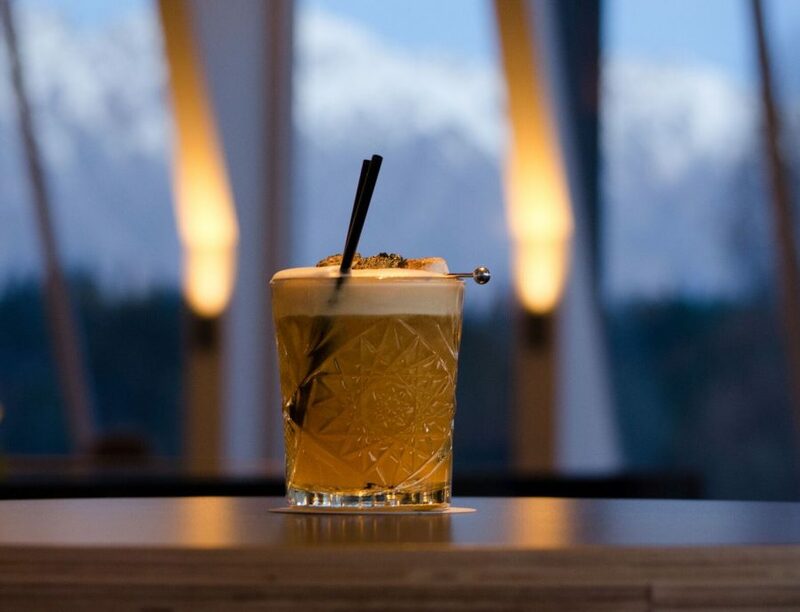 This recipe comes from the mixology teams at Reds bar, located within the newly-opened QT Queenstown, New Zealand. 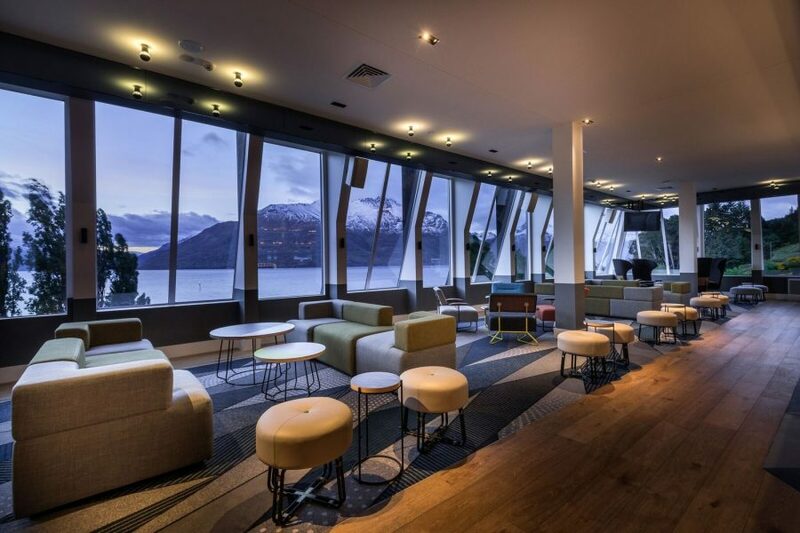 Reds is a local favorite, as it offers one of the best vantage points in the city to watch the sun set over breath-taking Lake Wakatipu and The Remarkables mountain range. 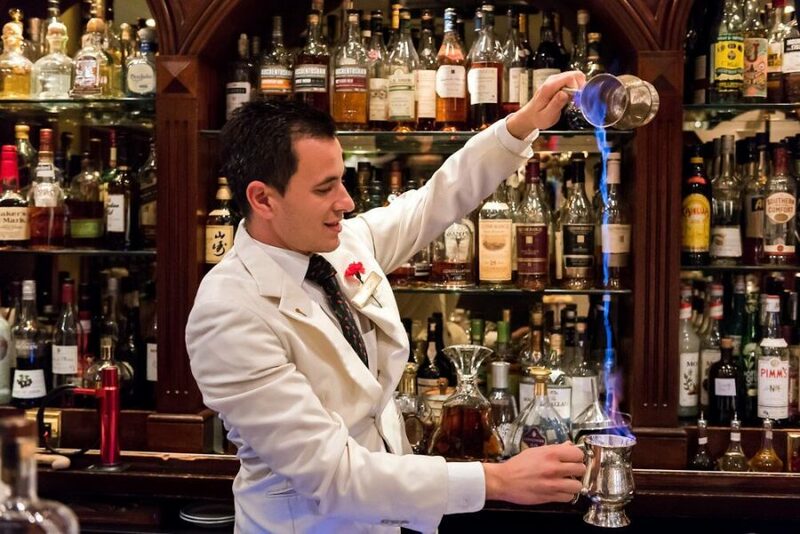 Reds bar also features the largest selection of spirits and liqueurs in the city. Notes: The Spiced Cloud is a bright, yet frothy holiday cocktail. As New Zealand heads into summer, the cocktail provides a perfect mix of Christmas spirit and childhood nostalgia through the flavor of toasted marshmallows, with the brightness that bar-goes seek during New Zealand’s spring/summer with lemon and pineapple notes. Originally designed in the mid-19th century to cater to wealthy tourists passing Holidays in Switzerland, the Beau-Rivage Palace encourages guests to embrace the magic of the Holiday Season with their Art of Joy winter program. During the holidays, Beau-Rivage Palace will offer a champagne Bubble Bar by Ruinart in their 10-acre, private gardens. 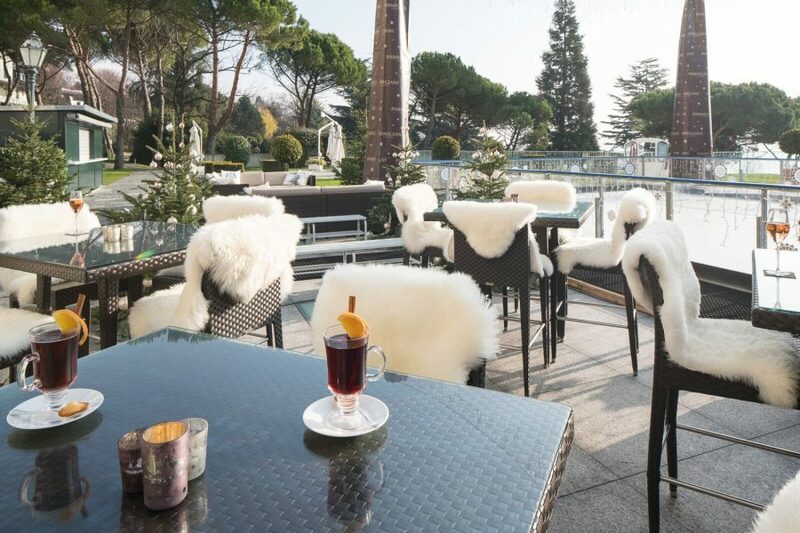 From the Lobby Lounge Terrace, which looks out over the Carousel, Lake Geneva, snow-capped Alps and Bubble Bar, guests can sip on classic vin chaud from the warmth of a blanket and Finnish wood burner. The Beau-Rivage Palace is also hosting Christmas Cocktail Classes throughout the month where guests can learn how to make two cocktail recipes: a Winter Negroni and the Merry Martini. 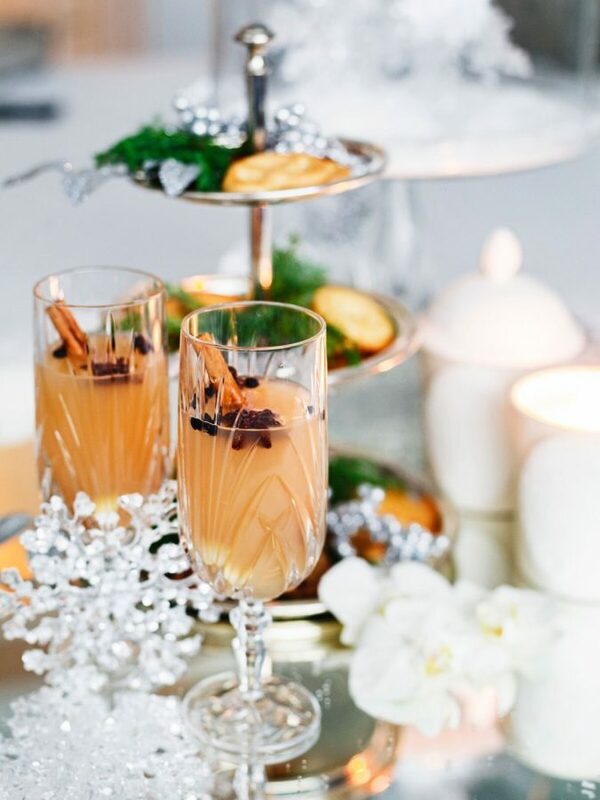 The splash of champagne adds a regal touch to this classic Danish winter drink. Traditional glogg is made using red wine, but the use of white port and white rum here create a lighter backdrop for the champagne to shine. The comforting aromas of apple, cinnamon and clementines will take you back to your favorite Christmas memory, with scents that blend perfectly with the warmth and spiciness of the rum. Ashford Castle, a 13th-century castle that was once owned and inhabited by the Guinness family, today allows guests to feel as though they are treated like royalty. A perfect place to spend the holidays as the Castle gets completely decked out in classic décor, guests can also enjoy the Castle’s signature festive cocktail, “Arthur’s Bellini,” at their elegant Prince of Wales bar. 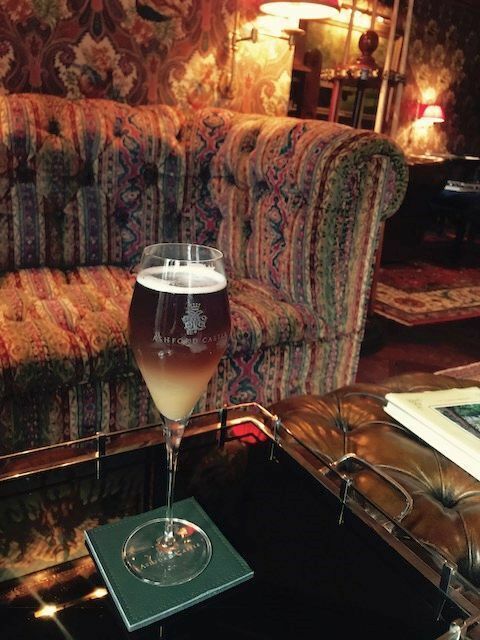 The bubbly Irish cocktail is made up of Guinness, peach liquor and topped with champagne. Mix the red wine, spices and cinnamon sticks in a large pot and heat on the stovetop. Crush the sliced oranges and lemons into juice, and mix in the cloves. Place a metal rack across the pot with a sugar loaf on it. Pour the rum slowly over the sugar and let it soak in. Then light the sugar loaf to caramelize and let it drip into the pot until all the sugar is gone. 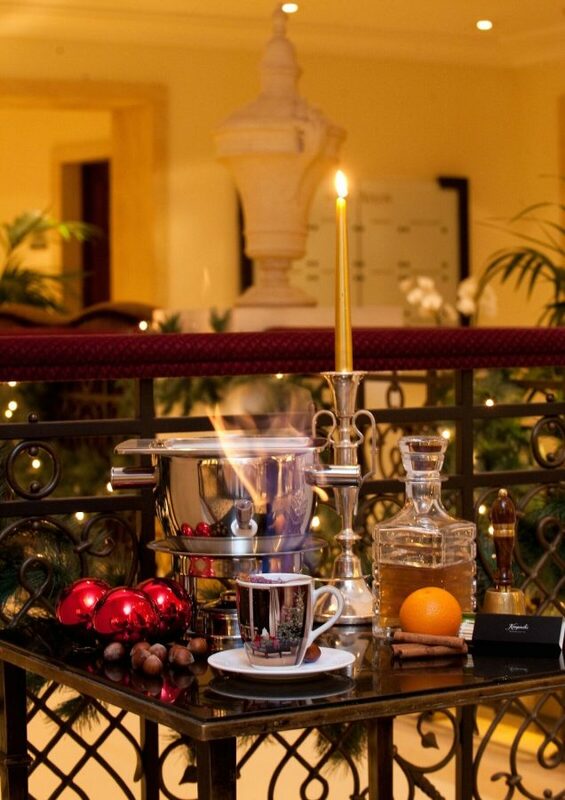 For a special Adlon touch add a dash of Hennessy XO which will give an elegant and complex taste to your hot punch.